If the employee wishes to receive password protected payslips or their P60 by email, enter the password that will be needed by the email recipient in order to open and view these attachments when received . This password is usually set by the employee and can be a combination of letters and numbers. Alternatively. click Randomise to create a password for the employee. 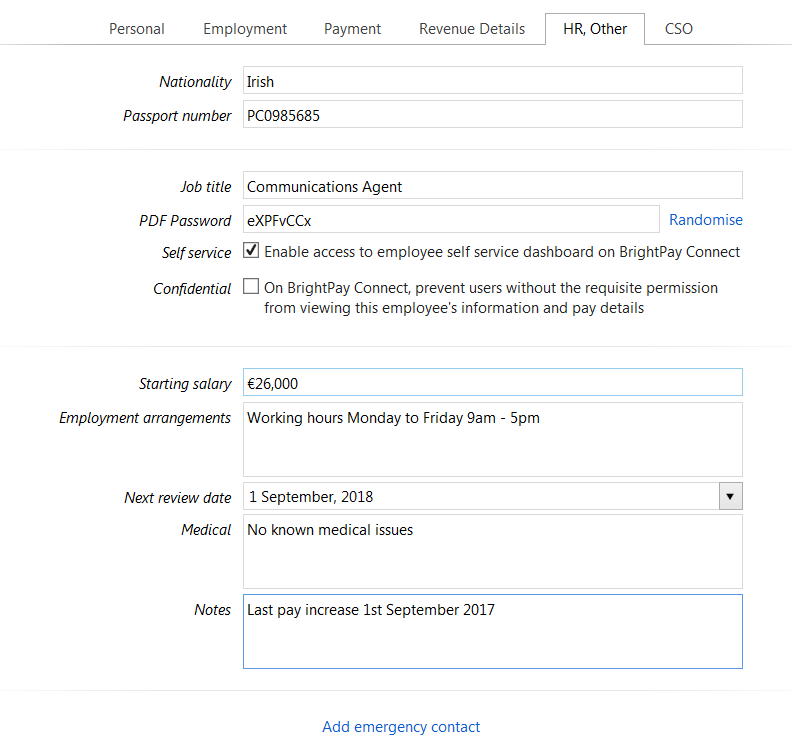 This field can also be used to set the password needed for the employee to access the BrightPay Connect portal (if applicable). To add the employee’s photo to their record, double click on the photo icon and browse to where you have the photo saved. Please note, the image file must either be in .jpg, .png or .gif format. Emergency contact details can also be added in this utility.